Picnic in Comfort With This Yarn Tassel DIY Blanket! Let us spin you a yarn of fantastic summer afternoons, spending time with family and friends in the sunshine…and making this awesome yarn tassel picnic DIY blanket! 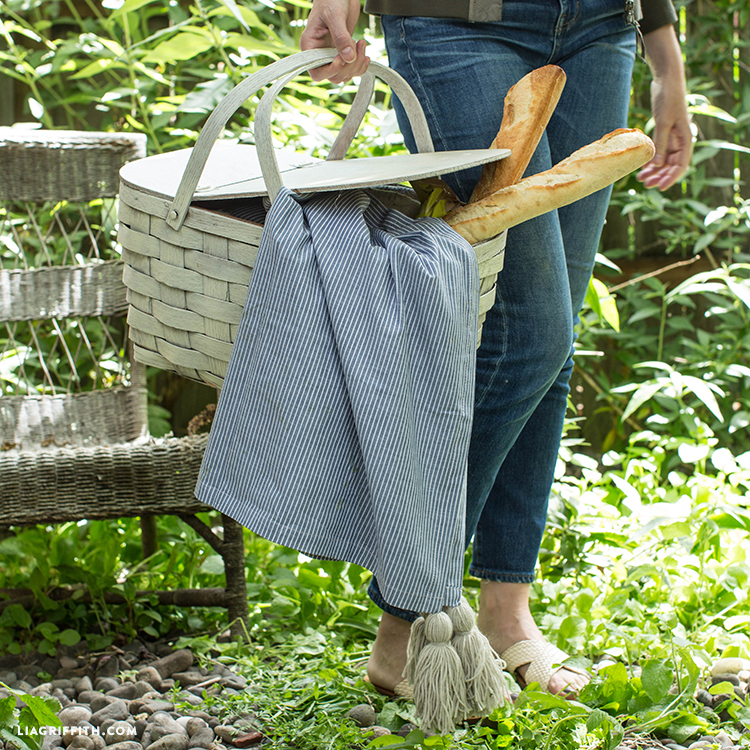 Choose your blanket – we suggest a comfy material – and craft it into a unique picnic placemat for your next outdoor adventure. Simply gather the tools and materials, then follow the easy-peasy instructions below. 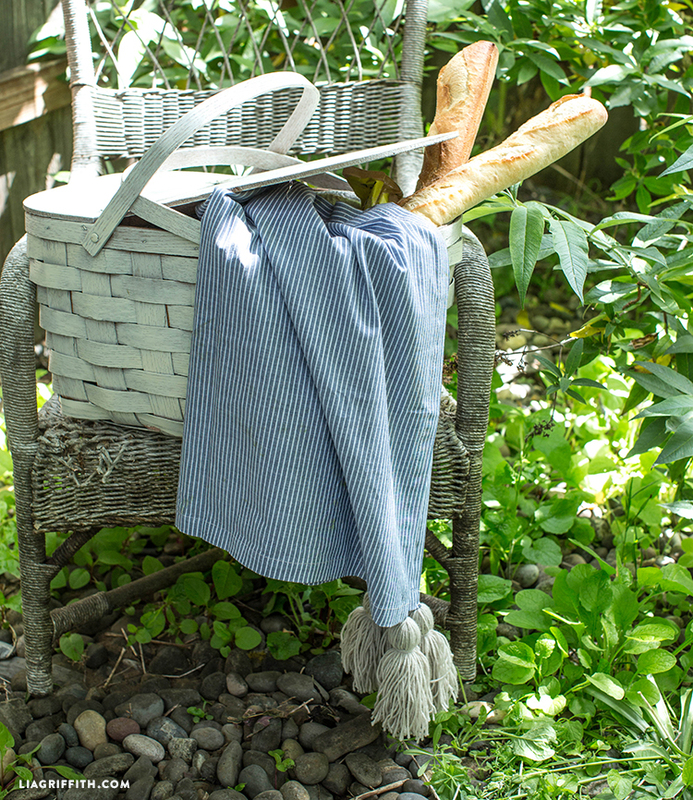 Upgrade your summer with a personalized picnic blanket, complete with yarn and tassels! Make 4 tassels using the 5″x5″ piece of cardboard wrapping the yarn around it about 50 times to make larger tassels. Follow the instructions to make a tassel in this post. 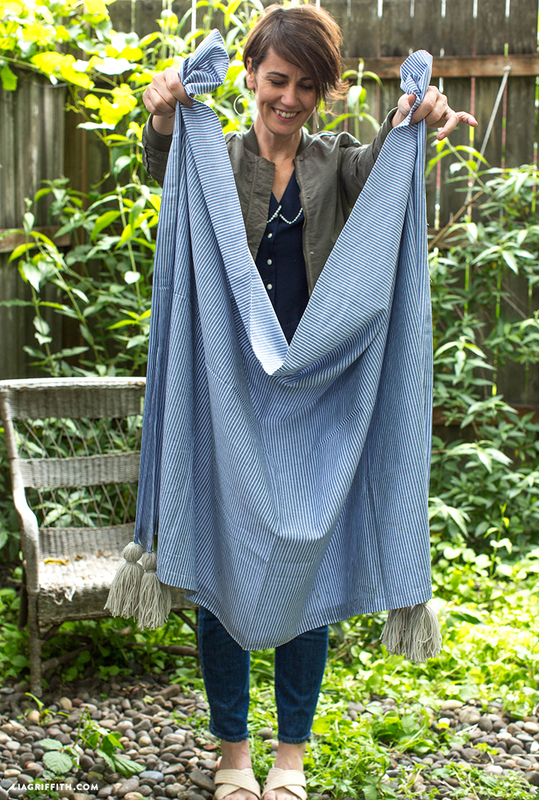 Using the needle and thread, sew a tassel on each of the four corners of the blanket.